paper pastries: Trunk show this weekend! 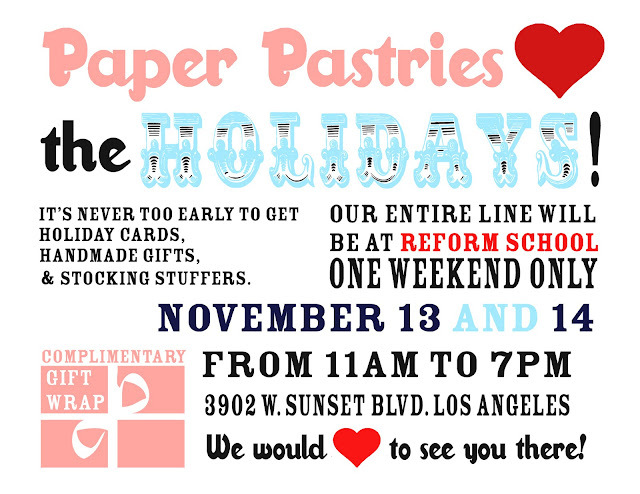 It's officially start of the holiday seasons over here at PP Headquarters :) This upcoming Saturday and Sunday you can find us over at ReForm School for a special start of season trunk show. Special thanks to Allie for being able to design this adorable poster, per my last minute request.